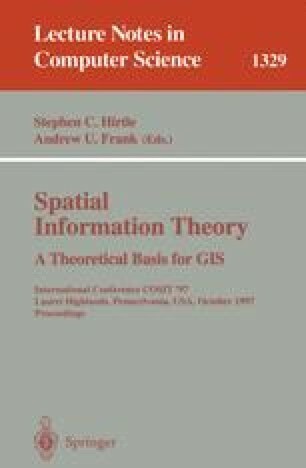 The provision of ontologies for spatial entities is an important topic in spatial information theory. Heyting algebras, co-Heyting algebras, and bi-Heyting algebras are structures having considerable potential for the theoretical basis of these ontologies. This paper gives an introduction to these Heyting structures, and provides evidence of their importance as algebraic theories of sets of regions. The main evidence is a proof that elements of certain Heyting algebras provide models of the Region-Connection Calculus developed by Cohn et al. By using the mathematically well known techniques of “pointless topology”, it is straight-forward to conduct this proof without any need to assume that regions consist of sets of points. Further evidence is provided by a new qualitative theory of regions with indeterminate boundaries. This theory uses modal operators which are related to the algebraic operations present in a bi-Heyting algebra.